Most people think that exercising like a professional athlete is the key to losing weight, and this thinking is why many people fail. 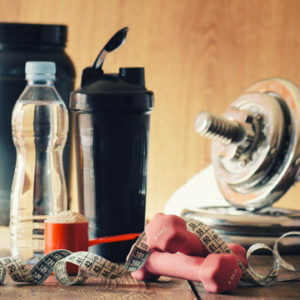 Unless you are Michael Phelps or another endurance athlete that needs to consume over 5,000 calories a day to meet their caloric needs, exercise isn’t an effective way to lose weight. 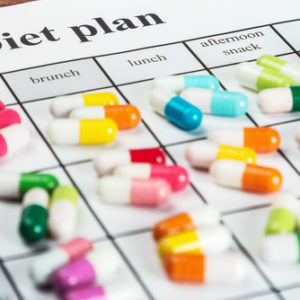 Although we may not like to accept this fact, our diet is first and foremost most important when it comes to weight loss, which can be supplemented by exercise to further results. Many people wish it to be the other way around but the reality says otherwise. Our exercise routines can only make so much of a dent in the amount of calories we consume a day, and a poor diet can easily erase all of that hard work we are putting in during exercise so it is important that we are eating right. Here are the biggest mistakes people make when it comes to their diets. When we are trying to lose weight the first thing we look to remove from our diets are excess calories, which often come in the form of fats. Fats contain about 9 calories per gram, which is more than double that of carbohydrates and proteins. Many of the foods we eat today are low fat, or non fat varieties of foods which are believed to be more healthy, however they are secretly loaded with sugars which are less in calories but add up over time. This is because these added sugars are found in many of the processed foods we consume daily, and is a major reason why so many people are overweight today. Another issue in the same vein here is eating processed grains, ones that are not whole. When we eat these grains that do not contain the bran or fiber of the plant, the body is able to digest and absorb these carbohydrates more quickly in to the blood stream, similarly acting like simple sugars. This can lead to spikes in the blood sugar level which over time is a leading cause of type 2 diabetes. Type 2 diabetes can cause many health problems, and is linked to obesity in particular. Instead of eating these types of foods, you want to stick to a diet that consists of mainly fruits and vegetables, with sources of lean healthy proteins and fats sprinkled in here and there. Exercise or the lack of is a major problem for many people today, and not only are they not getting enough exercise, they tend to do the wrong type of exercises when they do decide to do so. Many people are too concerned on short term goals like calories burned or time spent exercising when they should be spending more time on being consistent with their routine. The key behind exercise in helping us to lose weight relies on two things: keeping our metabolism up and building more muscle. Keeping our metabolism up is best done through consistent exercise. Research has shown that the body’s metabolism is still elevated up to 24 hours after exercise, which means that if we are exercising on a consistent basis, we can always maintain that elevated metabolism, burning more calories and fat around the clock. Building muscle is important as well because of how they use energy. Muscle tissue contains many of these organelles called mitochondria, which use and require a lot of energy. Muscle tissue requires a lot of energy itself just for maintenance, making it an effective weight loss tool as well. When we look for supplements to boost our metabolism, again many of us are too focused on the short term and not the long term. We usually look to energy drinks or caffeinated drinks which do give us a quick boost to our energy and can help boost metabolism as well, but are only effective in the short term. These drinks inevitably cause us to crash at some point or another, and when this happens our metabolism drops as a result. Instead of taking these drinks to boost our metabolism, we should be looking to take supplements like fish oil and vitamin D which help to reduce inflammation and balance our hormones; both important in managing our weight. Other supplements which can help with weight loss are green super foods like wheat grass juice, which can naturally help to boost our metabolism.